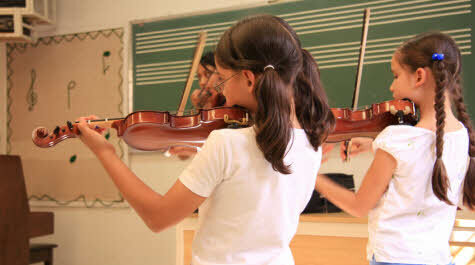 There are many Master’s level degrees and programs available in Music Education. Most are designed to build on the experience of existing teachers and educational professionals to transform them into Music Education specialists. Graduates of these Master’s level programs are prepared with the necessary practical classroom skills to create innovative programs in music in both private and public school settings, typically for students at the K-12 levels. As elementary school music teachers, graduates typically provide instruction in music theory, vocal training, as well as introduction to various instruments. At the middle school and high school level, music educators offer more advanced instruction in chorus, band, music composition, and specialized instrument instruction. They often help organize concerts and work in conjunction with drama instructors to put on musicals. The primary national music-related accreditation agency for Music Education degrees is the National Association of Schools of Music.